March just flew by in a blink.. can't believe it. I had so much planned for this month that did not get checked off my do to list. The April file for My Crafty Journal is finally now ready to share with you....apologies to those who have been hanging out for it. Life sometimes just take over. There are 15 pages included in this months PDF download which you can download here. You get 4 x A4 papers plus the April title page along with the planner, journal pages, daily planner, tags plus more.Once again when cutting out the tags I suggest you leave a 3 mm white border. 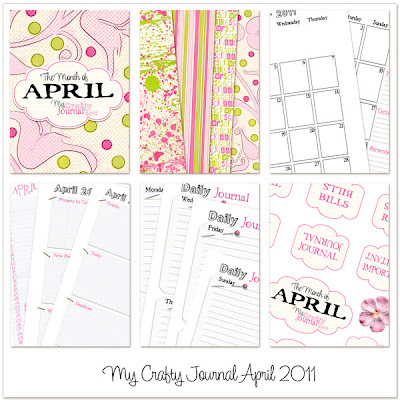 Simply print out the pages you need, embellish further if so desired and add them to your 'My Crafty Journal'. Hope you have a great month! 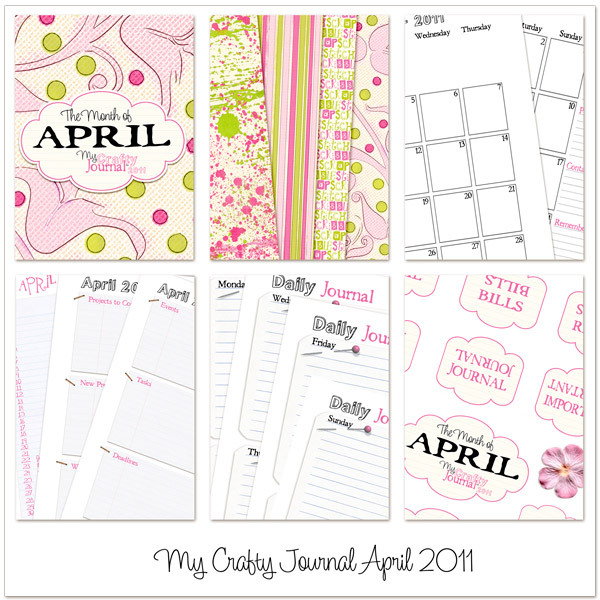 May edition of My Crafty Journal is up! September *My Crafty Journal* is hot of the press! Crafty Queen Store has been wiped out!